You might be a big cat lover and think that you know everything there is to know about cats. Cats have been around for literally generations and first, they were domesticated before they were pets. When a cat does something different we might think that something is wrong with them when it’s normal weird cat behavior. Cats are very sensitive, and they know when changes might be going on in their environment. They might refuse to eat and could even throw up their food. Nothing might not even be wrong with them. It could simply just be the fact they can’t handle or deal with the changes. Sometimes it’s simply just a friend that might be visiting which could upset their routine. Back track and see what changes might be happening if your cat is mysteriously sick. After you’ve discovered the changes see what you can do to make the changes easier on your cat. Human fingerprints all tend to be unique from each other. The same goes with the nose print of a cat. All cats have nose prints which helps them with their smells. Their nose is what helps them with finding that piece of meat you had hanging about and had planned on eating later. If they are not acting normal with smell, then you might consider having a vet check out their nose print and see if anything is wrong. Humans can be either right or left handed. Cats can be the same way. Some cats can use the right paw or either the left paw more. Just because they are using one paw more doesn’t mean that something is wrong with them. They just might really be enjoying using that paw instead of the other one. It’s their dominant paw so to speak. 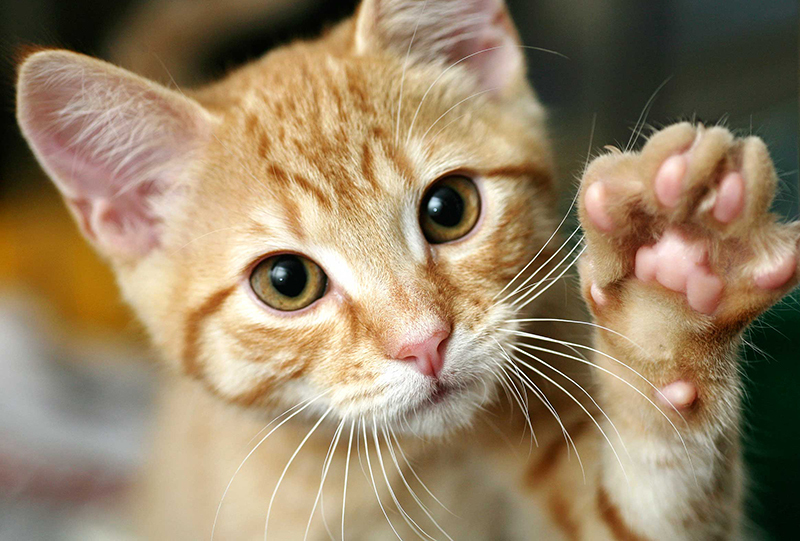 Research has found that male cats tend to be more left pawed and female cats might use their right paw more then the left. However, this isn’t always the case. get it out of their system. A few cat owners panic when their cat starts rubbing against their furniture. However, they could be doing this for a number of reasons. Maybe the furniture is new and they want to put their scent on it. They rub on furniture for the same reason that they rub on humans. She is showing pride with owning you like she is showing that she owns the furniture, not you. It is great when cats cover up their poop and use the litter box like they should. However, there are times when cats don’t cover up their poop because they are trying to show dominance. It can be tall tale signs that the kitty is angry and this is the best way for them to show that they are in control. The other thing is that sometimes it can also be a sign of a serious medical problem. Look into both and see which one is happening with your cat. Cats tend to be curious naturally. You might think some smelling is considered normal but what if they do it all of the time? They might just be enjoying your scent overall. They love the warmth from when humans might be present. If you’ve been gone for awhile and just popped in then they might smell your face even more. Smelling your face will help them with making them trust and love you even more. Some mistake a little meow with thinking the cat must be having throat problems or either might be thirsty. There are times when this little meow might just simply be a greeting from the kitten. They might even squeak somewhat in order to say hello. After they meow and say hello, they’ll often rub against your leg afterwards or jump into your arms or lap. Cats tend to be very alert and watch as to what might be the best way for them to communicate with you. If there is a baby in the house they might start imitating the baby in order to get your attention. If you listen closely, when your cat meows it could sound just like the baby does. Humans also often times speak to cats the same way as they do babies with using soft vocalization and soft words. Your kitty is wanting to engage in your conversation just like your baby does. It might also take time for the cat to adjust to the baby being in the house and demanding more of your attention. If your cats behavior really is unusual for a long period of time or odd, don’t wait to see if it improves. The longer you put off seeing a vet the worst it might can get. Be on the safe side and take your vat to the vet for reassurance that everything is fine.